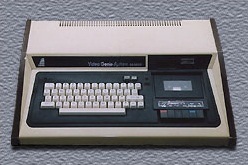 The above ZIP file includes CAS files that represent the best of the programs I wrote on my old System 80 between 1980 and 1982. My System 80 was a clone of the TRS-80 Model I with LEVEL II BASIC and 16K RAM. I have tested these files in Windows using David Keil's Emulator running LEVEL II BASIC and 16K RAM. I have also tested these files in Linux using Timothy Mann's Emulator. I owe David Keil and Timothy Mann a debt of gratitude because in 2003 it was a real buzz to see my old programs again. which you can get from David Keil's Emulator. calculator source file, LST_CC.CAS, for anyone who wants to add more functions.